Our team – Chris, Rick, Annabelle and Sarah – pride themselves in striving to offer the best men’s grooming in Plymouth. We always maintain high standards in our salon no matter whether you choose a total restyle or one of our special sit-back-and-relax hot towel shaves. Although Hyde Park Village is a bustling hub of the city, we have created a relaxing environment where you can feel totally at ease from the moment you’re welcomed into our Gents barbers. Our mission is to get to know you, your personal tastes and of course your hair so that we can ensure you’re leaving the salon looking forward to the next time you visit us. To take a look at our wide range of men’s grooming and styling products that we stock in store, click here. Our products include those from Uevo design cube, Sebastian Professional, Wella’s EIMI range, Baxters of California, and American Crew. 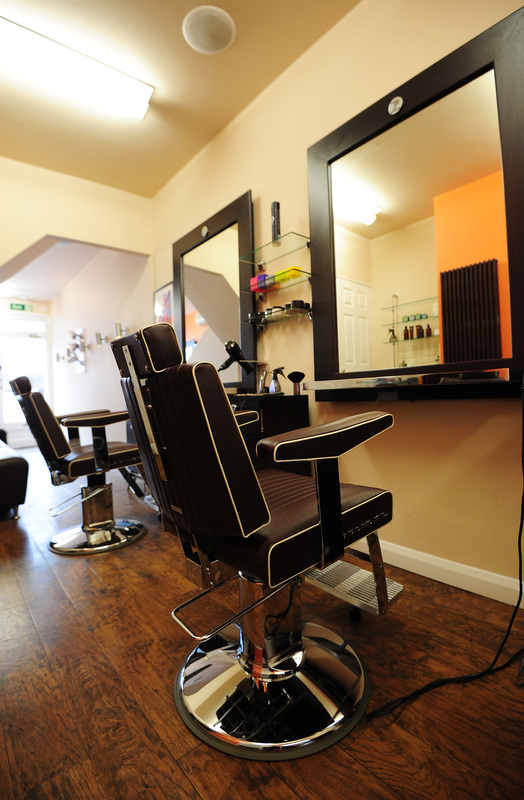 To book an appointment with one of our gents’ hairdressers please call the salon on 01752 228608 or simply pop down for our walk-in service, you’ll find us here. 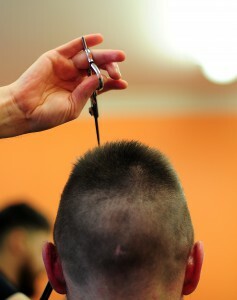 “I have been an extremely satisfied customer of the Hyde Park Hair Shop for around 10 years now. Chris and the team are always warm and welcoming and all work to extremely high standards. The whole experience is relaxing and reassuring and I always leave with exactly the style I was after, a smile on my face and looking forward to my next visit! As well as the excellent service, the salon also stocks a great range of hair products, which I would highly recommend. In my opinion they are far superior in performance and quality to anything available in a supermarket or pharmacy, and are more cost effective, as they last far far longer!